In the world of modern technology, even the phone system is being replaced. In many offices, phones are used to contact colleagues for a voice call, and it functioned flawlessly well for years. However, the modern offices can now use various internet-based devices that replace traditional phone system and work in cohesion to create a much more efficient environment. Now, some people may well be wondering exactly how it is that they manage to unify every single internet-based device for communication purposes. The answer to that is simple. You use a VoIP system. VoIP is an acronym, which stands for Voice over Internet Protocol, but occasionally you will see it as Voice over IP. In either case, we are talking about the same system. VoIP converts the sound into digital voice communication. This digital voice communication is then transferred through the broadband. Which means that when you make a call on a VoIP phone you are using the Internet to make the call. VoIP allows you to make phone calls from a wide selection of different devices. You could be using a phone, tablet, laptop or desktop computer, and you can still make a phone call to a colleague or customer. This process is achieved by installing the VoIP system onto your computer. When a phone call is made, you will find that the system converts your call into an internet-based data stream, and then sends that to the person you are trying to call using the internet. Thus, it becomes possible to contact colleagues or customers from locations such as your desktop computer or a tablet, without needing a traditional PBX Phone System. There are several benefits of using a VoIP system within your office environment. Businesses save money by switching to VoIP system as the cost of the calls are cheaper than using the traditional PBX Phone system. You will be able to make phone calls from any device available to you, which means that you can deal with customer requests in a much more efficient manner. Your productivity will also go up by quite a long way, as workers have a much more flexible system to work with. Furthermore, you will discover that there is going to be an increased level of collaboration, as your workforce will be able to communicate with the public and each other much more easily. 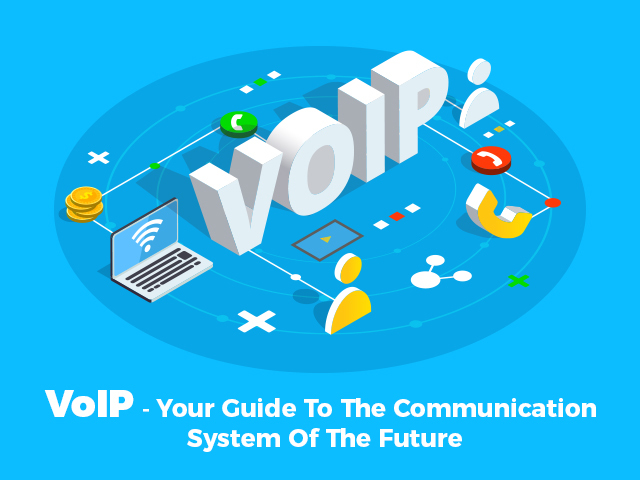 The many perks and benefits which it brings to your organisation prove that the VoIP system is the best way of communicating with people. This is the reason why so many people are using it within their organisations. Whether you need to collaborate with colleagues, or speak with clients, you need a system which is reliable and flexible. Therefore, it makes perfect sense to use the VoIP system, as it works in tandem with all of your internet based devices to communicate with anyone, regardless of whether or not they have the same system.